Hardwood flooring is a classic and timeless piece of the home and renewing old hardwood floors is much easier and cheaper than most people expect, especially if there is no damage. When you look closely at Vaughan vinyl flooring, the technology is impressive. In the past decade, vinyl rapidly advanced to become a top-tier technological revolution in floor design, as it’s been able to mimic the design and style of other materials while retaining its own functional advantages. This means that not only can vinyl flooring be used to create affordable, flexible, and resilient alternatives to more expensive, high-maintenance materials, but it can also create looks that simply aren’t possible with other types of floor. 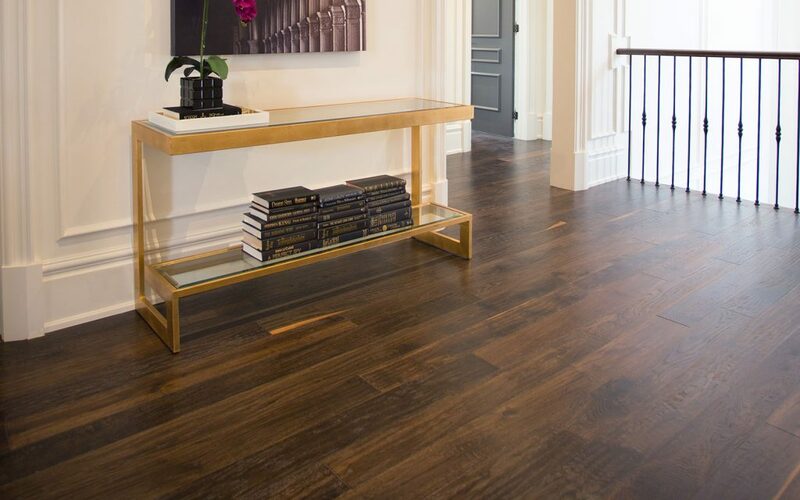 Take a peek at some of the flooring trends sweeping the industry and you too can see what vinyl is capable of offering. Vinyl tiles and plans can be embossed or printed with a variety of styles and colours to replicate the look and texture of other materials. For every leading flooring trend in wood, stone, and beyond, there is a vinyl tile that can capture its essence and style. Wood: Whether you are after mahogany, oak, chestnut, or any other type of wood, vinyl has you covered. 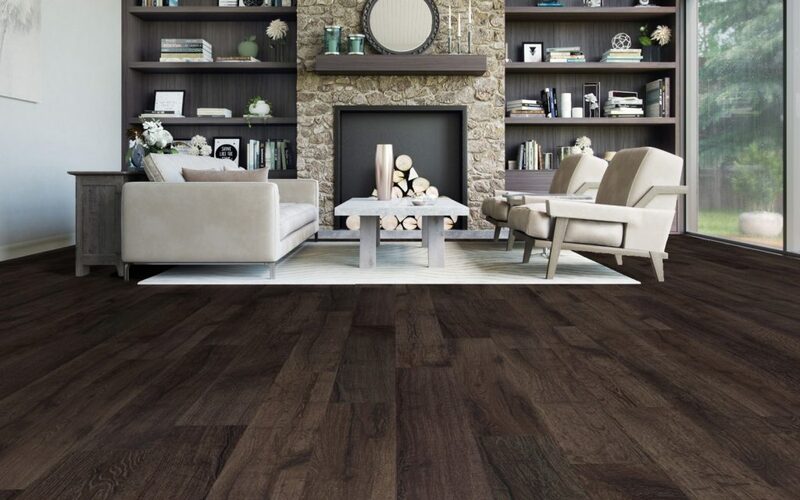 Wood-look vinyl flooring in Vaughan even uses wirebrushing and scrapers to create varied, subtle, or aged distinctions just like in real planks. Even burns, knots, whorls, or other distinctive wood marks can be found in vinyl flooring. Stone: Marble, slate, and travertine are timeless examples of high-class taste but that doesn’t stop vinyl from capturing their natural beauty. The mimicry is so good even the veining, distinctive patterns, and translucence is replicated in vinyl’s more flexible and warmer material. Concrete: Concrete floors are sleek, modern, and can capture today’s industrial look effortlessly. It’s also very hard on the feet though, which cuts down on potential uses. The same cannot be said for vinyl flooring, which offers an excellent way to get the chic look of concrete without the sore soles. There are a number of different patterns available for vinyl flooring in Vaughan and each offers its own opportunities for interior design. Between the variety of shapes and its versatile appearance, you will be hard pressed to find a creative vision vinyl can’t accommodate. Chevron and Herringbone: The angled and zig-zag appearance are popular among young homeowners, especially for kitchens, where the travelling pattern offers more of a visual treat than standard arrangements. Diagonal: Diagonal designs are not likely to become mainstream but they offer an immediate way to add a dash of exotic chic to a room. The angle of the floor planks can be combined with furniture placement to amplify or subdue the effect as desired. Large Plank: Large, wide planks have the advantage of making a room look bigger and reduces how “busy” it feels. This makes them an excellent choice for bathrooms or other areas where you want to project a sense of serenity. Hexagon Tile:In addition to the traditional square tile, vinyl flooring also comes in hexagonal shapes. Hexagons are an interesting style option since, depending on the colour and material appearance; they can be used for both vintage and futuristic designs.